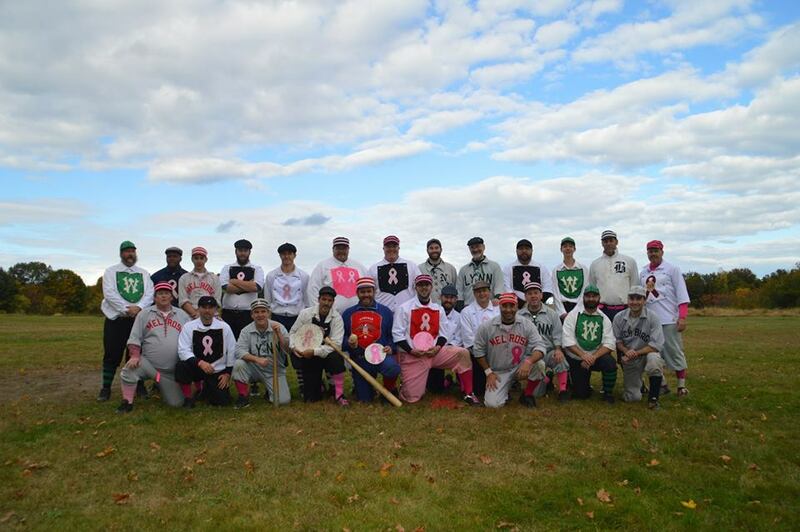 The Essex Base Ball Organization would like to thank everyone who played, came, or donated to this years Jan’s Pitch Game this past Saturday. 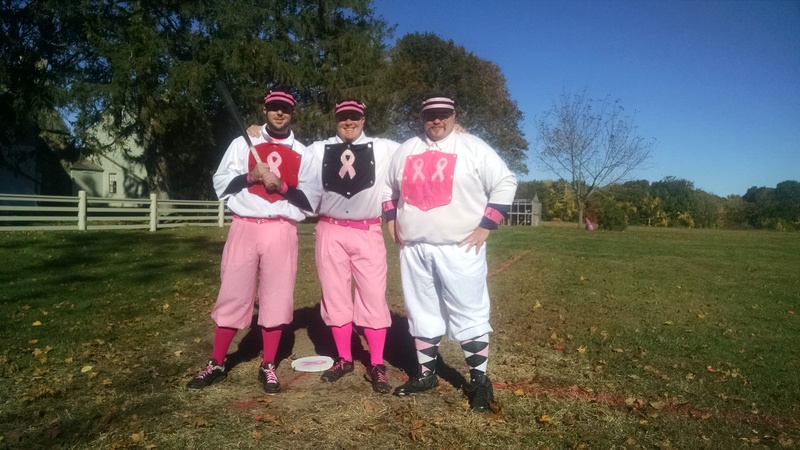 Despite a chill in the air we played three great games and were able to raise over $3,000 for art students at the Arlington School and for breast cancer research. We had some great baseball featuring members of clubs from MA- NH- CT- and RI, beautiful silent auction/ raffle items, delicious Ipswich Ale and Jim Jam Hot Dogs, and great music. This event would not have been possible without a whole group of amazing people. Ill start by thanking Bethany Groff Dorau for allowing us access to beautiful Spencer Peirce Little Farm, Id also like to thank her wonderful husband James Dorau for pouring Ipswich Ale and selling hot dogs all day. Kevin Carubia and his band entertained us all day long with some great tunes. Thank you Alex Sandman for the countless hours he spent putting together such an amazing looking promo video. I am looking forward to seeing what he puts together next year. Thank you to Trev Stair, Steve Suraci, and all of the people at the Newburyport Drink ‘N’ Draw for donating such wonderful sketches and paintings to our silent auction. Thank you to the Essex Base Ball Org’s rookie of the year Matthew Blanchette aka Johnny Bravo/ Duck for his hard work in getting raffle and silent auction prizes. Thank you to the Wildman himself Doug George. His tireless effort in getting donations, raffle items, and helping is very much appreciated and a huge reason why we raised over $3,000. The biggest and most sincere thank you goes to the Lynch family for all that they did. John Lynch and Jennie Lynch went above and beyond in dedicating time, money, items, and energy to this event. We are looking forward to 2016 and making it an even better event. Thank you again to everyone who made the day possible.